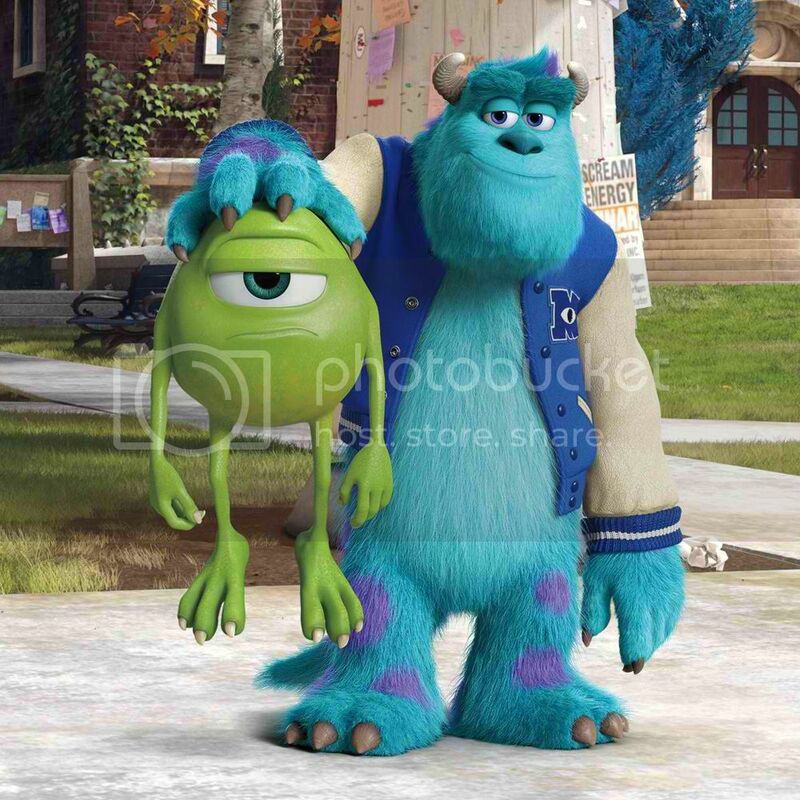 In 2001, Pixar Animation Studios came out with 2 memorable characters in Mike Wazowski (green one-eyed monster) and James Sullivan a.k.a Sulley (the big blue monster) who starred in Monsters Inc. The movie came out of nowhere and was a heart warming tale of friendship and childhood innocence. 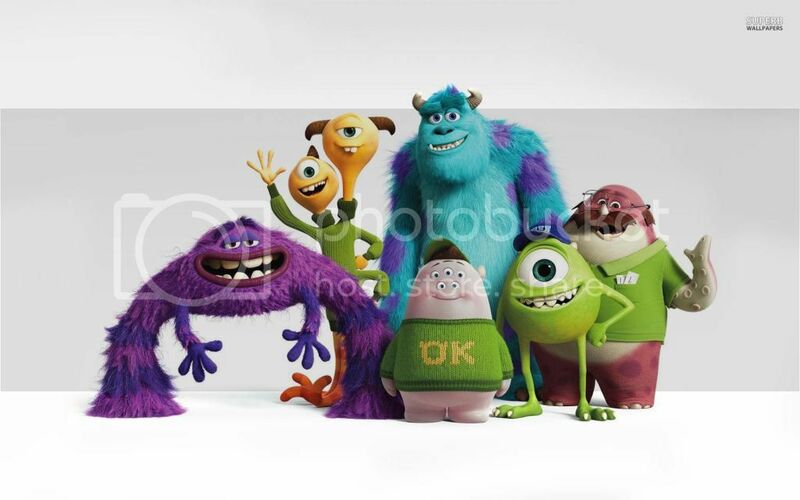 12 years later, they are back with their origins story in Monsters University. Question I had walking in was whether or not Pixar and Disney’s decision to bring this back after that long period of time would still have that effect on the older version of me. I didn’t want to watch Monsters University. I loved the first one so much. I didn’t really remember the story, but I just remembered the last scene of Sulley entering the room to meet with Boo again after a number of years. That was such a heart-warming scene. I loved it so much that I didn’t want to risk watching something that will spoil it for me. But I did anyway. This is an origins story for Sulley and Mike. Monsters University takes us to when both of them were in college taking up a “scaring” course so that they can become professional scarers when they graduate. What other monsters do apart from scaring people just boggles the mind. During that process, we learn what both of them were like back in the day. Mike being the nerdy / bookish type and Sulley being the cool kid. This also tells on how both of them met and how their relationship developed into what it is/was today. They also have to prove to everyone that they can graduate from scare class and succeed. *Spoiler from 2001: They end up being friends and graduate to become professional scarers. James P. Sullivan is voiced by John Goodman and is the perfect fit for the big fluffy and arrogant guy. 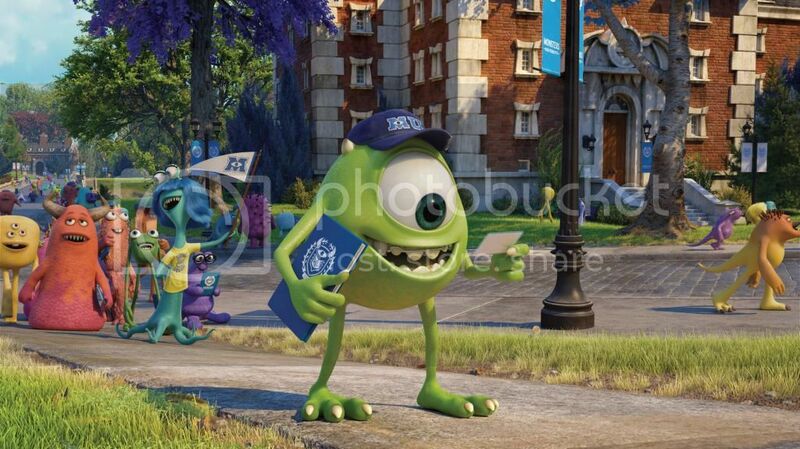 Mike Wazowski is voiced by Billy Crystal and also is a perfect fit for the short, annoying nerd. I expected nothing less than a great performance from both and they deliver. There is a really good cast of peripheral and supporting cast which includes Steve Buscemi (Armageddon), Helen Mirren (Red) and Nathan Fillion (Castle). The rest of the cast I do not know them, but everyone just does an awesome job of bringing their digital CGI characters to life. Monsters University is primarily a kid’s movie. The story is straightforward, there are imperfect characters, they meet under unfortunate circumstances, there is a conflict, the conflict gets resolved, they start to excel. No twists or turns. What you expect is what you’re getting. But that it not a bad thing. Along the way, it teaches kids (and adults) some important life lessons as well. Teamwork – No man is an island. No matter how good or even how great you are, you will seldom win or accomplish a team task alone. Leverage your strengths – In a team, everyone is different. It is better to have a diverse skill set rather than everyone being great in the same things. Just because something cannot be achieved in the conventional way, doesn’t mean that you cannot think out of the box to do it your own way. Friendship – Friends are important. You’ll never know that the next person could change your life. I’m pretty sure there are other lessons in there as well, but these are the ones that stood out to me. We have come a long way. From an animation standpoint, the benchmark for me has always been computer generated hair. How to make a strand of hair move like it would in real life. Then multiply that by a million strands. I will say that Sulley’s character was done so well. I went back to look at the original Monters Inc, trailers and the difference in quality was so obvious. We’re all spoiled to get this level of quality from Pixar movies. The Monsters University I went to watch was also in 3D. I will say that the 3D (at least the one in megamall) was very watchable. They’re on passive glasses which really works. I didn’t have the need to keep on removing the glasses in-movie. I loved the movie. I didn’t think I would, but I did. The story is superb, the characters are as lovable as the first one, the animation is top-notch and it caters to everyone both children and adult. This is a movie you can take the whole family to go and watch. You will all walk away happy from this. If I had to nitpick, I would say that there are a few inconsistent points between Monsters Inc and Monsters university. A very minor point which you wouldn’t even notice unless you went back and watched the first film. 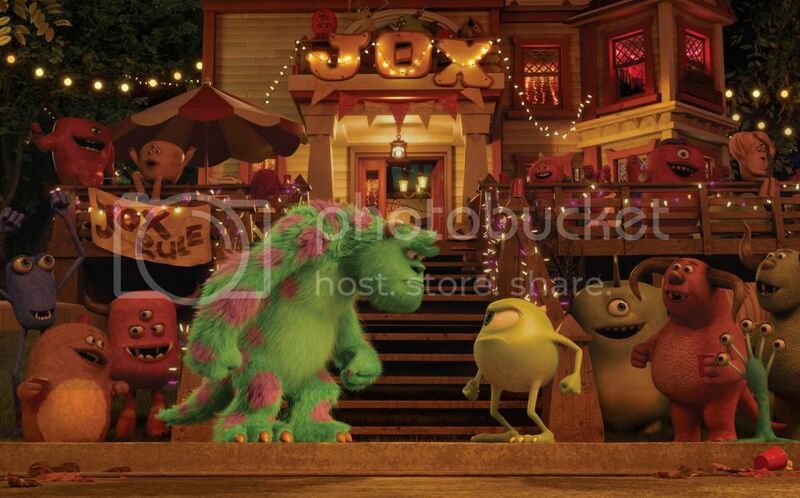 (Example, Mike and Sulley only meet here in Monsters University, but in a scene back in Monsters Inc, Sulley asks Mike, “do you remember in 5th grade…”). But as I said, fairly minor and I’m just nitpicking. Not critical to enjoying this film. 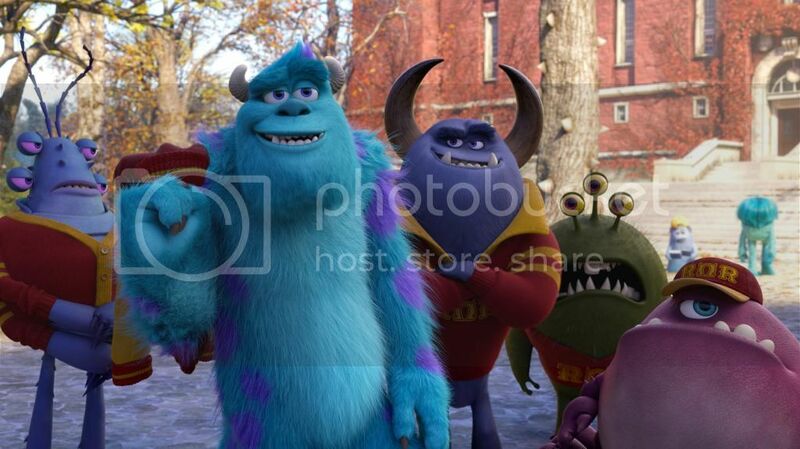 Monsters University is from Pixar Animation and Walt Disney. It shows in Philippines theaters on June 26 (Wednesday). Score: 4 out of 5 (Exceeds expectations but not perfect).